Bert Donovan is a trial lawyer and counselor who specializes in complex commercial litigation, automotive safety, regulatory compliance counseling and product liability litigation. He has a special emphasis and deep expertise in automotive contracting and supply chain counseling, and is a warranty, recall and cost recovery expert. Bert often counsels clients regarding issues pertaining to the National Highway Traffic Safety Administration. 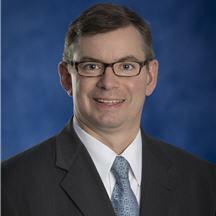 He has successfully represented and counseled clients in hundreds of automotive supply chain disputes, and regularly advises many of the world’s leading automotive suppliers regarding warranty risks and claims, contracting and supply chain risks, recalls and related cost recovery claims, force majeure and commercial impracticability and corresponding “best practices” for contracting and communication. He is a sought after speaker on these topics. Mr. Donovan has also been identified as a dBusiness Top Lawyer, a Michigan Super Lawyer, and is listed in “The Best Lawyers in America,” in Business and Commercial Litigation Product Liability defense. He is a 1991 graduate of the Notre Dame Law School.